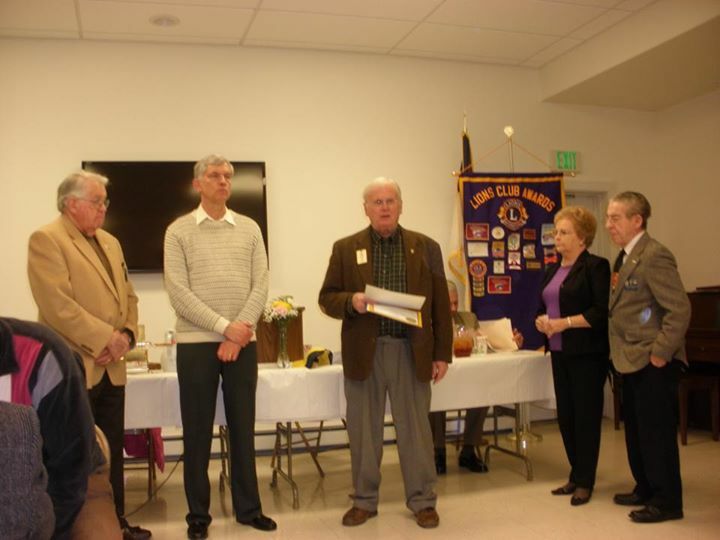 At the March meeting of the Sandy Spring Lions Club, the club was proud to induct two new Lions: Lion John McCloskey of Brookeville was brought in by longtime member Jim Kibbe and Lion Carole Derrick of Leisure World was brought in by her husband, Warren. The new Lions were proudly inducted by one of our past district governors, Bill Thomas. The Club is proud to be positive for the year when it comes to bringing in new members. Lion John’s wife is hoping to join the club next month and there are a few other potential members who came out of our Friendship night at the February meeting.